Once a customer buys 10 bags of premium cat or dog food using their Pals card, they receive a free bag of the same food. There are a couple of caveats – It must be the same size and brand of food for each 10 purchases; All purchases must be within 12 months; It takes 4-6 weeks to receive the coupon for the free bag of food through the mail; The customer must pay the sales tax on the free bag of food; Only in-store purchases apply. To receive a free groom, customers need to use their Pals card when they take their cat or dog to the Petco Grooming Salon to buy a Full-service Groom, Full-service Bath or Self-service Dog Wash. After 8 purchases, the next groom is free. Similarly to the Free Food program, it takes 4-6 weeks for customers to receive their coupon in the mail and all services must be purchased within 12 months. Animal lovers know how fast and easy it is to spend money on their pets, so $5 back on every $100 spent and a way to receive a free bag of pet food or a free groom is truly a great way to reward loyal pet loving customers. 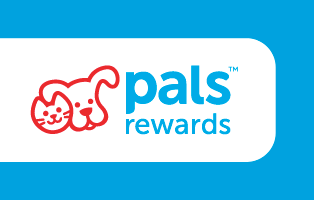 To learn more about Petco’s Pals Rewards you can visit their website.